A six feet tall silouette nicknamed ‘Tommy ’will be the centrerpiece of Woodhall Spa’s plans to mark the 100th anniversary of the end of the First World War next month. Parish councillors agreed to buy the silouette called after East Lindsey District Councillor Craig Leyland pledged a donation from his Community Fund. Speaking at the September meeting of the parish council, Coun Isobel Clarke saidgiven Woodha;ll’s wartime heritage, it was important to commemorate the anniversary. However, she admitted she was worried the parish coluncul had left it too late to organise anything fitting. Coun Terry Clapton asked why it had taken until September to consider buying the siloutette. He also questioned the amount of money involved, adding: “If it is £150, I’ll stand there for the day! However, Coun Leyland - who is the leader of ELDC - supported calls for the parish council to do something and said he was happy to make a donation. He also said he would considering donating more of his grant to help buy giant poppies to display around the village during the commemorations - if the parish counmcil decided it was another idea it wanted to progress. The silouette will be placed in St Andrew’s closed church yard, to the side of the War Memorial. A public unveiling will be held soon after installation. The organisation ‘There but Not There’ is sharing the profits generated from the sale of commemorative products - including ‘Tommy’ - between six armed forces charities. The Woodhall Spa ‘Tommy ‘will be a permanent feature, adding to the village legacy remembering so;ldiers who gave their lives. Meanwhile, the parish council is also organising the annual Remembrance Day Parade which actually falls on Sunday November 11 this year. The parade will follow the usual route from St Peter’s Church to Royal Square and the War Memorial. 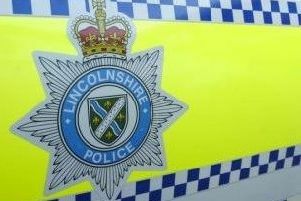 Parish council chairman David Clarke and clerk Joann Greer have attended the ‘Parades in Lincolnshire Training’ provided by Lincolnshire County Council and Lincolnshire Police. Part of the training package included details of signs and barriers legally required to close any roads during the parade. The signs for Woodhall’s parade were provided free of charge by LCC and donated to the parish council on a permanent basis. The parade is a major event in Woodhall’s calendar and given the village’s proud war-time links it attracts hundreds of visitors and veterans. George ‘Johnny’ Johnson - the last surviving British Dambuster - is among the regular attenders. Now living in Bristol, it is hoped he will travel to woodhall this year. •Parish council plans to improve areas in the village have generated three new maintenance contracts to bring St Andrew’s Church Yard, Chapman’s Corner and Long Avenue into excellent condition.